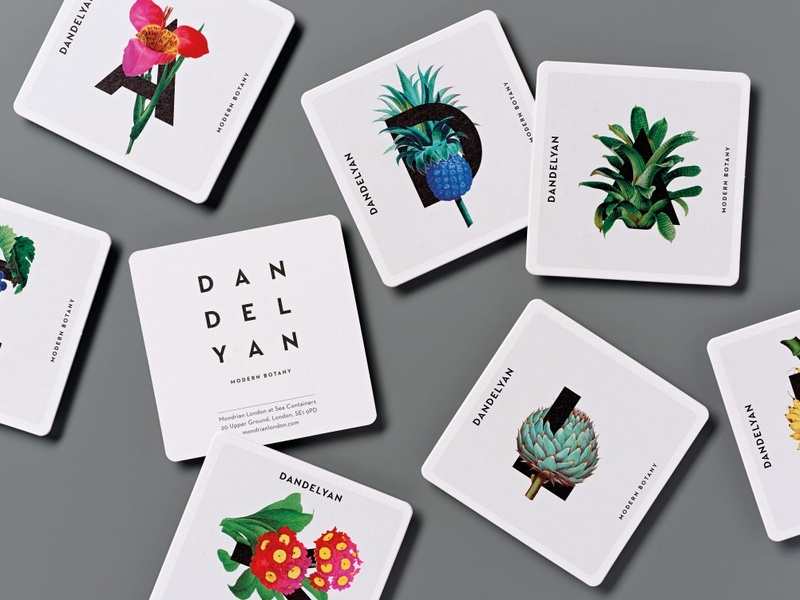 Magpie Studio created the identity for Dandelyan – a cocktail bar opened by Ryan Chetiyawardana at the Tom Dixon-designed Mondrian London hotel on the Southbank. The vision for the bar was “modern botany”. To reference the experimental (and botanical) nature of the cocktails, Magpie Studio took archival botanical drawings and added a twist by injecting them with pop colours and interweaved typography. The work proved so desirable that 200 menus were stolen from the bar in the first week of opening. Fitch was the lead branding consultancy for Adidas’s Brazil 2014 World Cup campaign. To commemorate the campaign, Fitch created the self-promotional Formation print work. White ink on black stock reflects light, creating innovative and striking contrasts to what can normally be expected in print. Meanwhile, the typeface used football formations as its foundation. Laser-cut pages act as a projector, recreating the patterns from the shoot. The biolink micro-articulation technology from Philippe Starck’s eyewear company Starck Eyes allows for 360º, multidirectional arm movement in eyewear. The technology launched almost 20 years ago, and the 2015 collection extends it into an ever-increasing, style-focused market. GBH created a poster campaign to showcase the design’s capabilities and the brand’s fresh take on eyewear to a younger generation of style-savvy wearers. 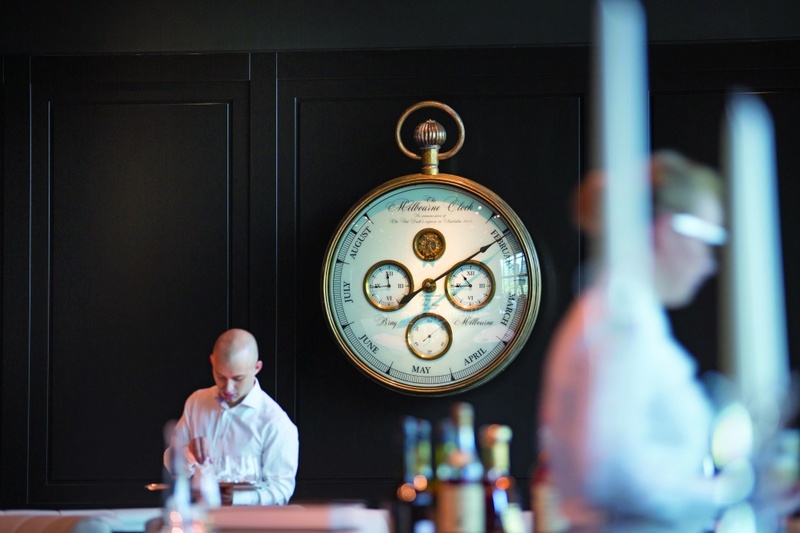 The Fat Duck in Melbourne is the Australian outpost of chef Heston Blumenthal’s famous Bray restaurant. It was set up temporarily while the UK restaurant was undergoing refurbishment. Seymoupowell was briefed to not just emulate the atmosphere of the Bray restaurant but to also create a unique identity for the Melbourne venue. The restaurant features an entrance corridor with an installation showing a door getting smaller as you move closer. Inside is a giant pocket watch, created in partnership with Rob Higgs, which is fully operational. The restaurant’s centrepiece is a puzzle with over 19,000 pieces that was gradually built after each sitting. 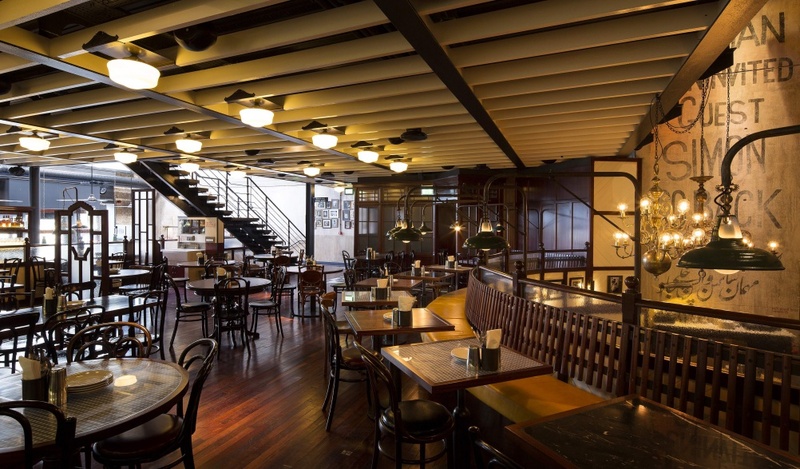 Dishoom pays homage to the disappearing Irani cafés of Bombay. Its third café, Dishoom King’s Cross, opened in the Western Transit Shed, a restored Victorian industrial building once used to store railway goods. Dishoom’s team worked with designer Macaulay Sinclair to create a space that is based around the fictional story of a young Irani who, in 1928, finds himself in a transit shed behind Victoria Terminus in Bombay, and senses an opportunity to build a café. The team says virtually every detail has a Bombay reference – from hinges to mirrors to cornices. Original items were sourced wherever possible and the café holds over 100 pieces of period furniture sourced and restored in Bombay. The First World War Galleries are part of the first phase of the Transforming IWM London project, a long-term masterplan for the Imperial War Museum’s flagship museum. Casson Mann’s layered, scenographic structure blends the display of large and small physical objects with digital media elements, projections, suggestive soundscapes and human voices telling their stories. This emphasis on authentic stories forms a key part of the narrative as contemporaneous voices ground the visitor in the present tense as events unfold. Quotes, anecdotes and excerpts drawn from the IWM’s vast archive of personal letters, diaries, documents and orders are woven together with objects, artefacts and photographs to tell the story through personal experience and reflection. In collaboration with typography specialist Paul Barnes, Ben Kelly Design developed the identity, signage and wayfinding system for the Whitworth Art Gallery in Manchester. The consultancy created one streamlined wayfinding approach that, although consistent throughout, varied in finish to compliment each sign’s location within the building. In acknowledgement of the Victorian building, the system used engraved faience brick slips to reveal their red brick interior. Varying timbers were used, relevant to the signs’ architectural location within the building and a polished stainless steel trim formed directional indicators to guide visitors through the gallery. Sea Containers is the flagship restaurant at the Mondrian Hotel on London’s Southbank, designed by Tom Dixon and operated by The Morgans Hotel Group. 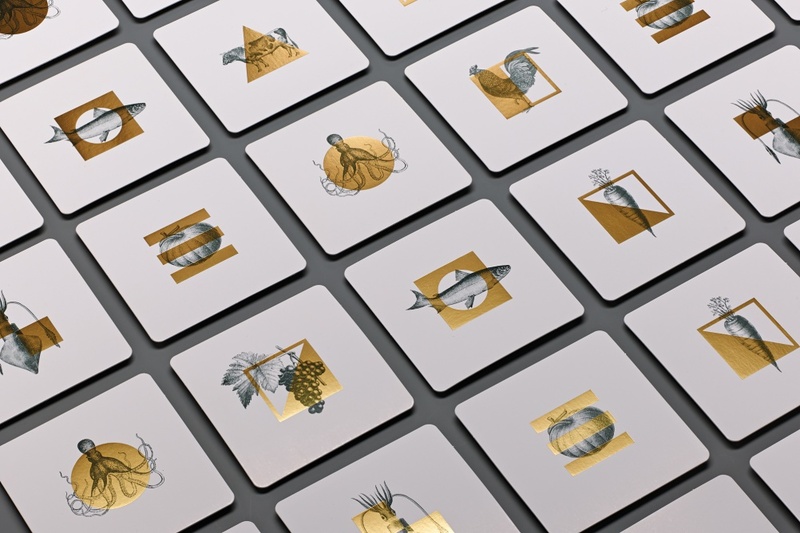 As well as designing the identity and collateral for the Dandelyan Bar at the Mondrian and the Rumpus Rooms, which were also shortlisted in this category, Magpie Studio also worked on designs for Sea Containers. The designs feature archive etchings and bold graphics, which aim to recreate the glamour and romance of a transatlantic sea voyage. Magpie Studio was also shortlisted for its identity work for the Rumpus Room and the Dandelyan Bar, also at the Mondrian London. Nike’s 2014 Brazil World Cup objective was to be the most talked about brand during the tournament. 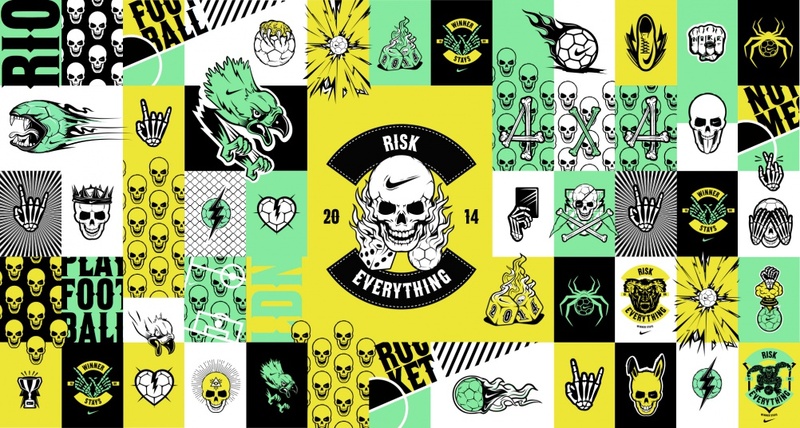 AKQA was briefed to establish Nike’s Risk Everything football campaign, and dominate social conversation to drive downloads of the new Nike football app. The consultancy says: “Instead of talking to our teen audience, we gave them a new visual language to talk football to each other.” The Nike Language of Football is a set of emoji and digital stickers that can be used to communicate visually. In a separate project, AKQA also worked in Russia – where football is dominated by oil money – to reignite the idea that there is a road to the top for every talented footballer. It created a campaign based around branded korobkas (caged pitches), which were visited by more than 1 million people throughout the campaign. SAM is a toolkit of electronic building blocks and software that empowers anyone to build and create products and experiences for the Internet of Things. It aims to make the IoT accessible to anyone by being a creative tool, not a piece of science lab equipment. After a successful Kickstarter campaign in October 2014, SAM approached Map to help enhance the entire product experience. Map collaborated with SAM on all aspects of the product: user interface, hardware and packaging, while implementing a strategy to ensure each of these supported the other. The aim was to teach people how the product works, break down the complex concepts behind the IoT and inspire use of it as a creative tool. The approach with the UI was to create an environment in which there are no boundaries between hardware and software, to explain how connections in the IoT can be made. The UI shows simple visuals of the models and connections to communicate the relationships between hardware and software. Museum Boerhaave – the Dutch National Museum for the History of Science and Medicine – asked Tinker to transform its Anatomical Theatre into an essential and exciting introduction to the rest of the museum. Inspired by the anatomy lectures by Herman Boerhaave from around 1720, Tinker brought the old medical theatre – a remake of the original Theatrum Anatomicum – to life to initiate the audience into the secrets of science. Visitors sit down on the wooden benches, just like students and doctors used to do, and are immersed in the modern anatomical show to experience the same sense of curiosity and wonder. Boomerang is a global all-animation network from Turner Broadcasting. The channel owner decided to relaunch Boomerang as a complementary, youth-targeted network to Cartoon Network. It needed a distinct, cohesive and flexible on-air visual identity, which could communicate the new positioning and refresh the brand for the dual audience of parents and young children. Art&Graft crafted an identity system based on creating a fun, sensory and light-hearted world of surprise and excitement, in which the Boomerang characters could live and grow. Following an inquest into the 2009 Lakanal House fire in South London, where six people tragically died, London Fire Brigade undertook a number of actions to improve its procedures and policies. One part of this was its search and rescue practices, particularly how its firefighters search large buildings such as housing blocks, hotels or offices for casualties, and the process for knowing which rooms or areas have been searched. LFB’s previous method was to mark each room door with a yellow wax crayon, which didn’t accommodate for various door textures and could be hard to see. 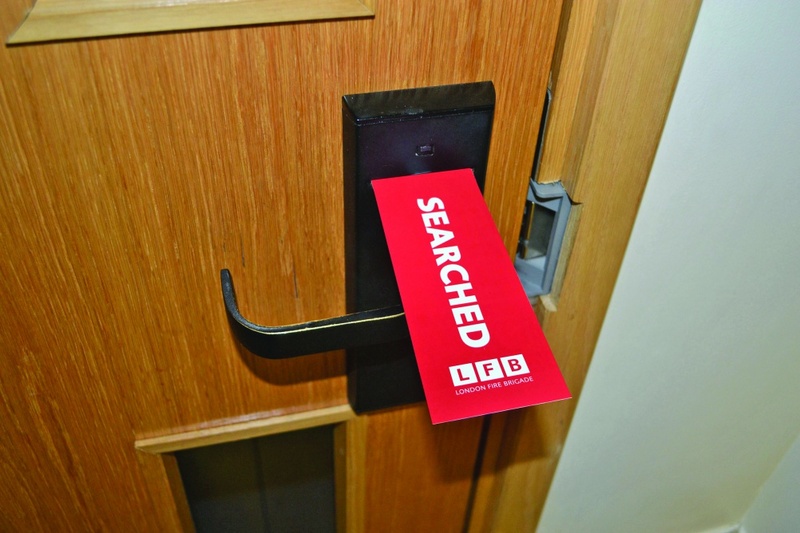 LFB then developed an acrylic tag that can fit into a firefighter’s pocket and can be hung from a door handle, over the top of a door or in a key-card slot. At the end of an incident, the searched tags can be retrieved and re-used, making it cost effective. 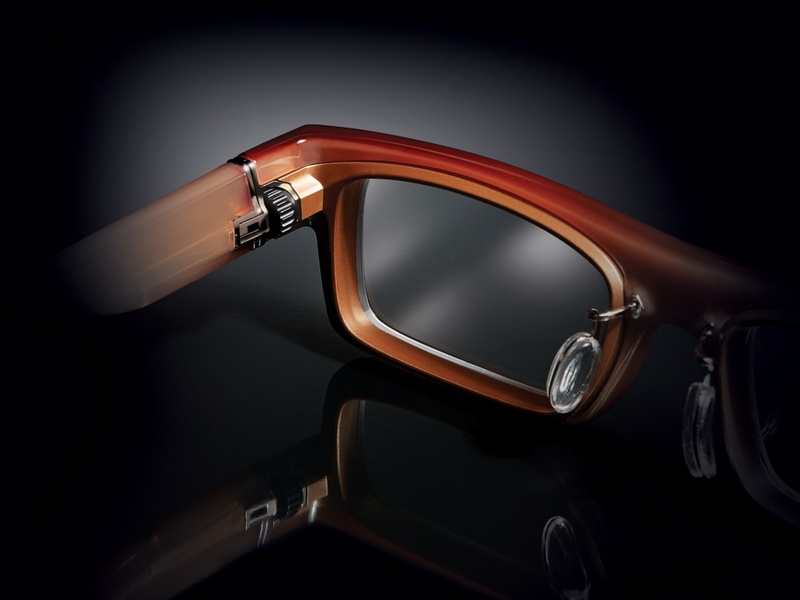 AdlensFocuss glasses are adjustable prescription eyeglasses that aim to combine a revolutionary advancement in optics with fashion-forward style. AdlensFocuss are the first prescription eyeglasses to feature variable power optics – a technology that mimics the eye’s natural dynamic behaviour, allowing patients to adjust their vision between near, intermediate and distance. It works by applying a patient’s distance prescription to a dynamic, flexible lens. The lens adjusts to mid-range and reading prescriptions, adapting to what the patient wants to see. By turning a concealed dial, patients are able to change the pressure of the fluid within the lens module, which modifies its shape and adjusts the optical power. 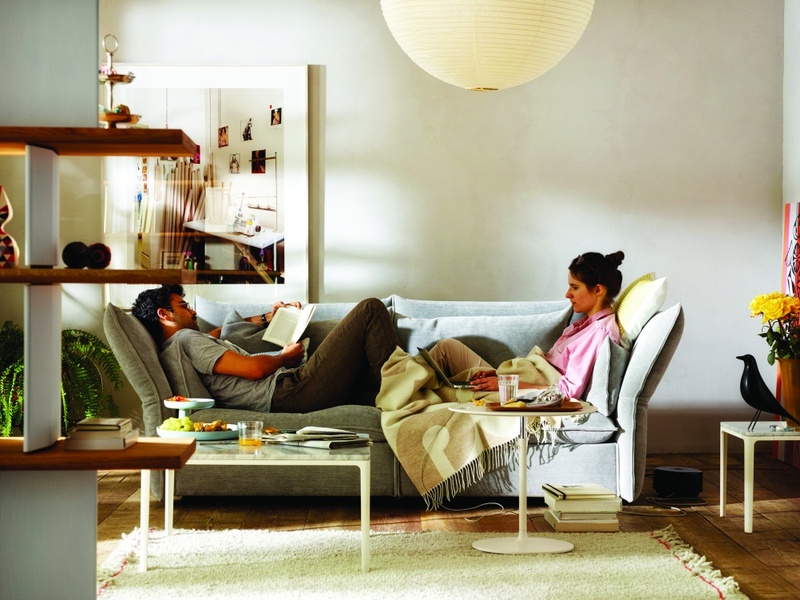 The Mariposa Sofa, designed for Vitra, features soft upholstery, which completely surrounds the sitter and prevents contact with any hard structural elements. It also has an adjustment mechanism, making it possible to individually tilt the side and backrest elements for various sitting or reclining positions. 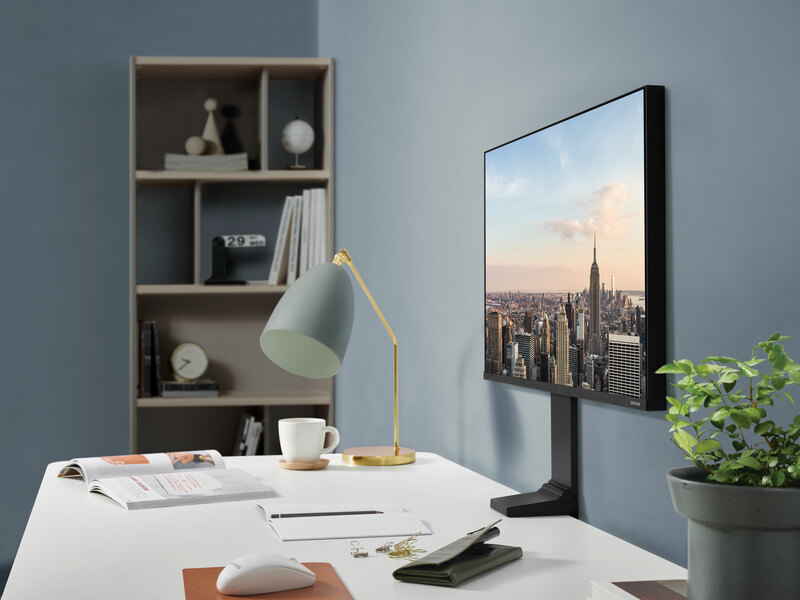 The side and back elements can be continuously and silently adjusted, from an upright position to an outward angle of approximately 30˚ and back again. Pearlfisher partnered with charity Right to Play on the immersive Jump In! installation. The project – at Pearlfisher’s London studio – invites visitors to dive into a pool of 81,000 soft, white and motion-sensor balls. Right to Play benefits from donations from visitors and £1 donated by Pearlfisher on behalf of every jumper. The Gentlewoman’s Spring and Summer 2015 edition – the magazine’s 11th issue – was its first full-colour cover. 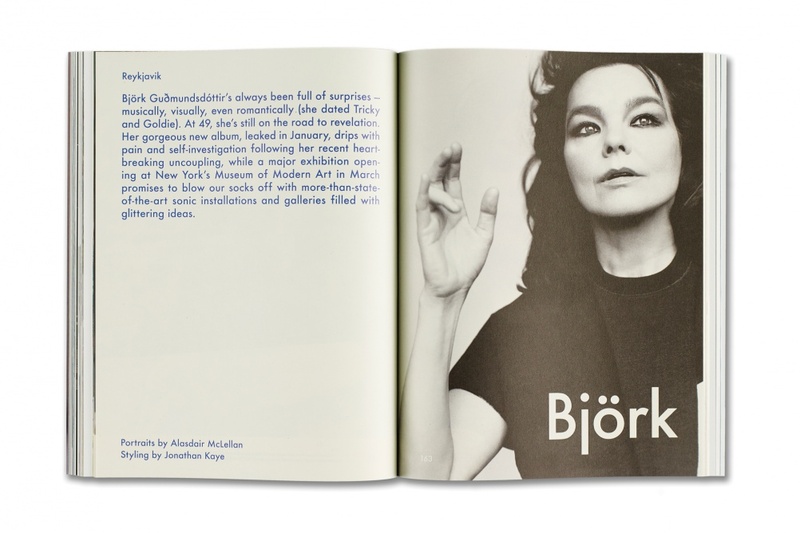 It marked a distinct departure for the publication’s cover design, noted previously for its black and white portraiture, framed in an eye-catching colourful border. The 11th issue also featured design changes to the opening pages of each chapter of the magazine using typewriter art. The fashion section introduced a typewriter font freely aligned on the page, while that magazine used specific use of colour throughout the entire issue and placed profile pull quotes on a designated coloured page with an image of the subject. Jon Bland was commissioned by Manchester Academy to encourage engagement within its cohort of year 7 pupils. 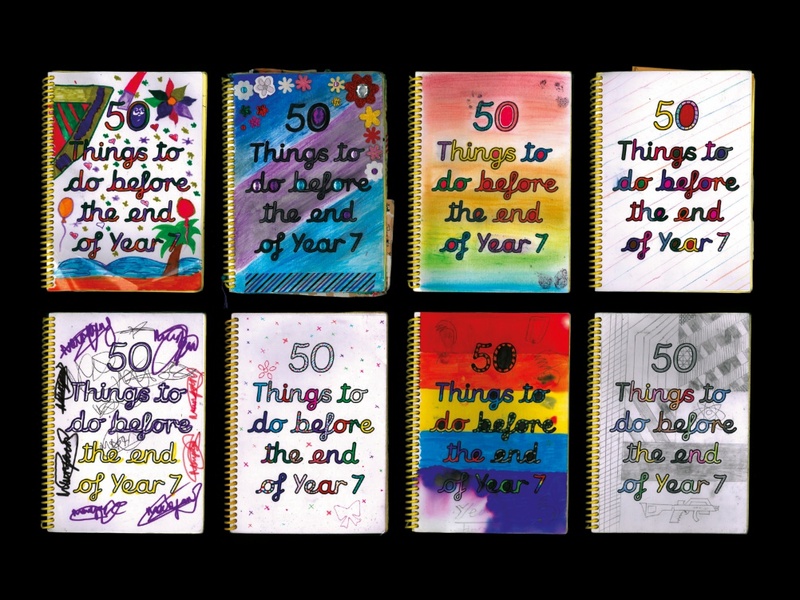 The publication 50 Things to do Before the End of Year 7 contains 50 challenges that aim to develop the pupils’ social, creative and subject-specific skills. 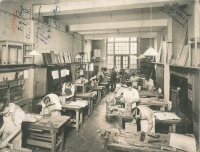 The book was produced in the school’s reprographics department within an extremely tight budget. Challenges range from mastering a magic trick and writing a book review, to attending a new after-school club and lending a hand at home. The first task was to decorate the front cover. Horse was briefed to create designs for a new, premium mineral water from Nongfu – China’s leading bottled water brand. The water source is an underground spring at the foot of Changbai Mountain, part of a volcanic region bordering China and North Korea. The screen-printed design pays homage to the source by depicting indigenous species, including the Siberian tiger, Chinese merganser and the Pinus koraiensis, and is accompanied by Chinese copy that reveals facts about the region. Freelance designer Ed Harrison graduated with a degree in Graphic Design from Brighton University. Among commercial projects he has worked on are the redesign of Penguin Random House’s website with Clearleft, and the redesign of violinist Yehudi Menuhin’s website with Escape Committee. Harrison also designed the self-initiated Remembrance 2014 campaign – across digital and print – which aims to connect younger people to the history of the First World War. 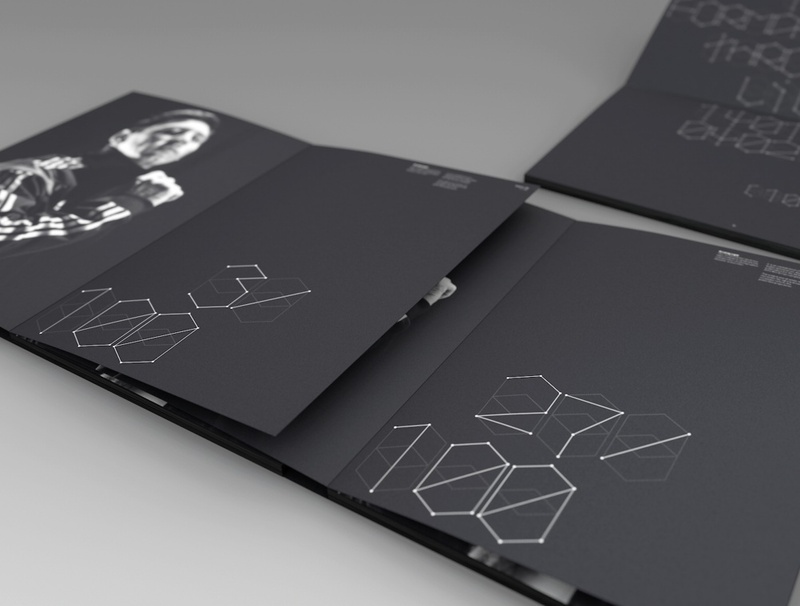 The project features infographics and designs telling the story of the confl ict, as well as printed memorabilia marking its centenary. Harrison’s other projects include the identity for woodworker Daniel Harrison and branding and interiors for Brighton restaurant, The Creperie.